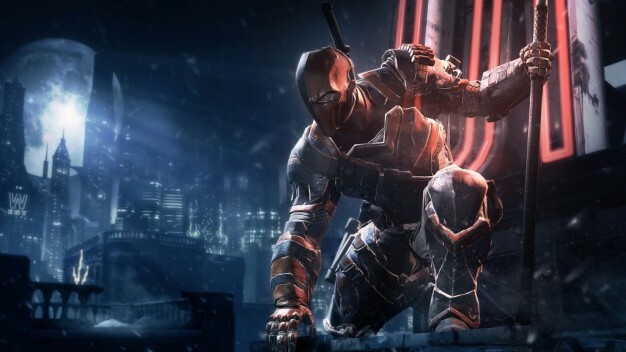 A new video trailer for Batman: Arkham Origins released today showcasing gameplay footage from the Deathstroke challenge pack, which will be available to those who are pre-ordering the game. In the pack, you will take control of Deathstroke in two different maps: “100-to-1” and “No Money Down.” The trailer focuses on gameplay from the 100-to-1 challenge, where you alone will try to best 100 enemies before they can take you down. The video also shows the three different character skins you will be able to select from: Arkham Origins, Injustice, and Judas Contract (New Teen Titans) costumes. Check out the video and get a good look! Arkham Origins will be available for PC, PS3, Xbox 360, and WiiU on October 25, 2013.